ERP offers multiple benefits to an organisation, and with a little patience and understanding of the software, it can bring in significant investment benefits to any business. Many people believe only large companies will benefit from ERP. This is commonly based on not knowing what ERP does. The objective of ERP software is to automate business processes across departments in an organisation and thus eliminate inefficiency caused by silo thinking. ERP today helps to integrate business processes across your firm, and this works for any company, irrespective of size. Another common misconception is that most or all ERP software implementations are expensive and can take years to roll out and finish. This was potentially true in the early years of ERP but it is not generally the case now. ERP is more affordable today because it is being implemented in smaller companies, and vendors are rising to meet their demands. ERP systems are also more reliable, with early issues having been fixed, there is less customisation and improved project management. As a result, implementation can be done in a reasonable time frame and is affordable. Let us know of other misconception you have of ERP in the comments below. In order to increase profitability for your firm, you need visibility into all facets of your business from anywhere and at any time. With Deltek Vision you can manage the complete project lifecycle, ensuring the critical information you need to run your firm is just a click away. 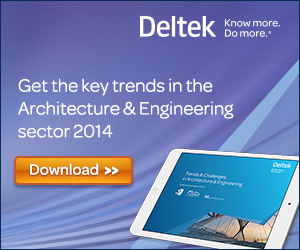 See what Deltek Vision can do for you! Categories: Business development, Business stories, Challenges, Deltek Vision, Project Management, Smartsoftware | Tags: Enterprise resource planning, ERP, implementation | Permalink.